Phonographic Copyright (p) – Man-Ray Inc. This version is the 2nd press with blue printing inside the gatefold cover. 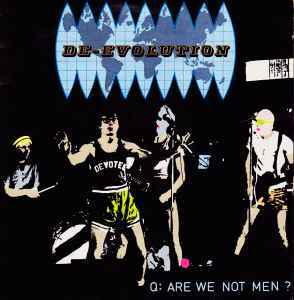 Band name subtitled "The D-Evolution Band" on labels. "Jocko-Homo" - from the soundtrack of "In the Beginning Was the End.. (the truth about DE-EVOLUTION)" a film by Chuck Statler.